Environmental Services | HOBI International, Inc.
HOBI processes millions of devices yearly at each of our locations. When processing equipment, HOBI not only focuses on maximum value for our clients, but also the best choice of action for the environment. Throughout each of our programs, HOBI prioritizes legislation-compliant, environmentally-sound refurbishment, recycling and disposal. Our R2, RIOS and ISO-14001 certifications ensure all equipment is processed under full legislation compliance. Each HOBI facility undergoes yearly audits for re-certification. Along with maintaining the highest standards in-house, HOBI only partners with R2-certified downstream vendors who are thoroughly audited each year for compliance standards. Manufacturers around the world are recognizing the long-term effects of device design. Designing for disassembly is a process where manufacturers design devices for the least environmental impact upon disposal. It not only appeals to environmentally-conscious consumers, but also prepares devices for safe and smart disposal. 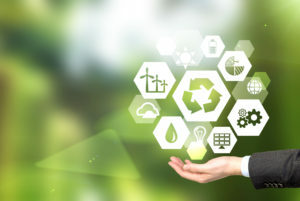 HOBI International is committed to educating industry professionals on the importance of design for disassembly in recycling and post-consumption electronic waste. HOBI engineers provide resources for industry professionals wishing to learn more about the importance of design for disassembly. This introduction is intended for design and operations managers who wish to learn more about designing for the environment and electronics industry issues. The general principles of design for disassembly are also introduced. HOBI provides extensive design team and demanufacturing experience and can serve as a support member to your team. HOBI’s chief consultant, Craig Boswell, is a registered professional engineer who has served electronic companies around the world with specific demanufacturing projects. HOBI strives to provide the best practices in IT and mobile asset management not only for our clients, but also for the environment. We are committed to meeting local, state and federal environmental legislation, and implementing the most environmentally-friendly practices in all aspects of our business. To accomplish this goal, HOBI implements an Environmental Management System (EMS). Electronics recycling and disposal legislation is constantly evolving on local, state and national levels. Any violation of environmental laws can lead to significant fines, loss in investor confidence and a tarnished reputation. While navigating legislation may be difficult for enterprises, HOBI provides outsourced compliance assurance programs to ensure mitigation of compliance risks at all levels.